Chris Hannam shared a video of how he uses BlinkStick to indicate moisture. He is using an Arduino hygrometer sensor to change the color of a BlinkStick if it’s not damp enough. Now even your plants can have fun with BlinkStick! 🙂 Well done Chris! 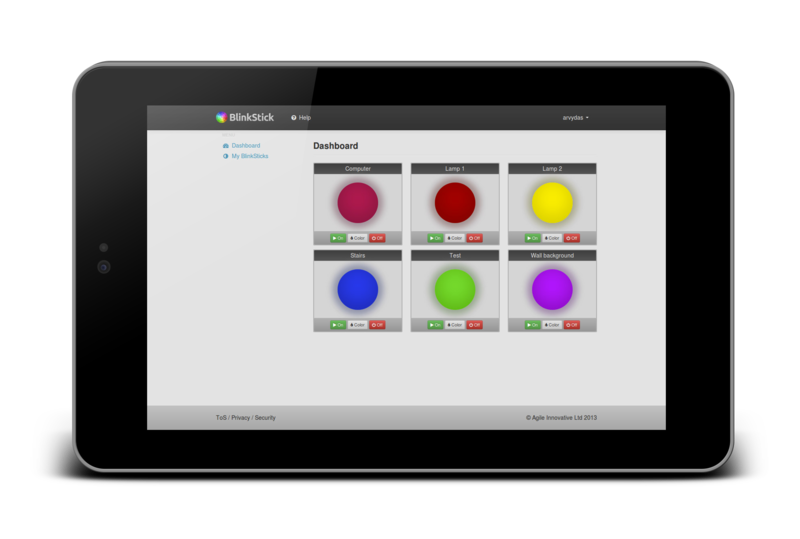 BlinkStick website has been improved with a few requested features. There is a guide describing how to share your BlinkStick and let others take control of it. This requires linking your BlinkStick to blinkstick.com and there are quite a few ways to do this. Python BlinkStick package has been updated to 0.5.0. MQTT is a machine-to-machine (M2M)/”Internet of Things” connectivity protocol. It was designed as an extremely lightweight publish/subscribe messaging transport. Checkout full example of how to set everything up for BlinkStick and MQTT integration on Github. Thanks to Andrew D Lindsay ‏@andrewdlindsay for coming up with this idea!